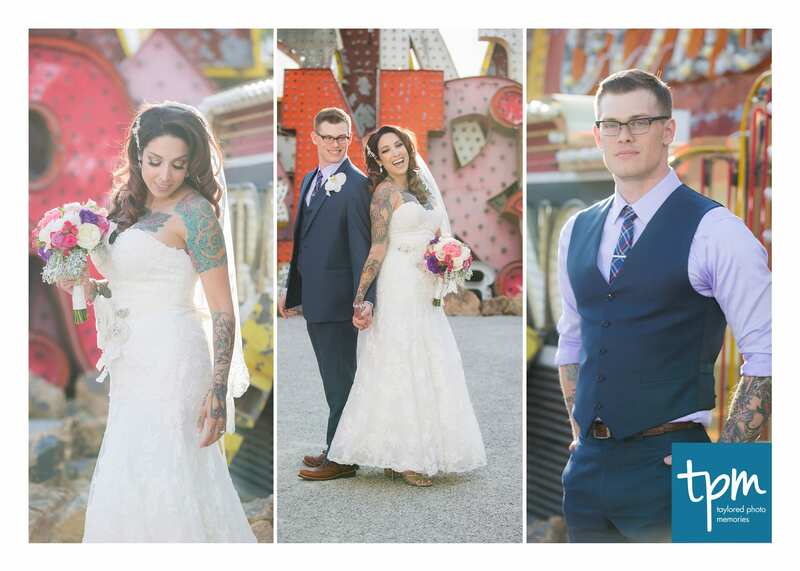 We are thrilled to be able to offer you iconic Vegas photo sessions at The Neon Museum! 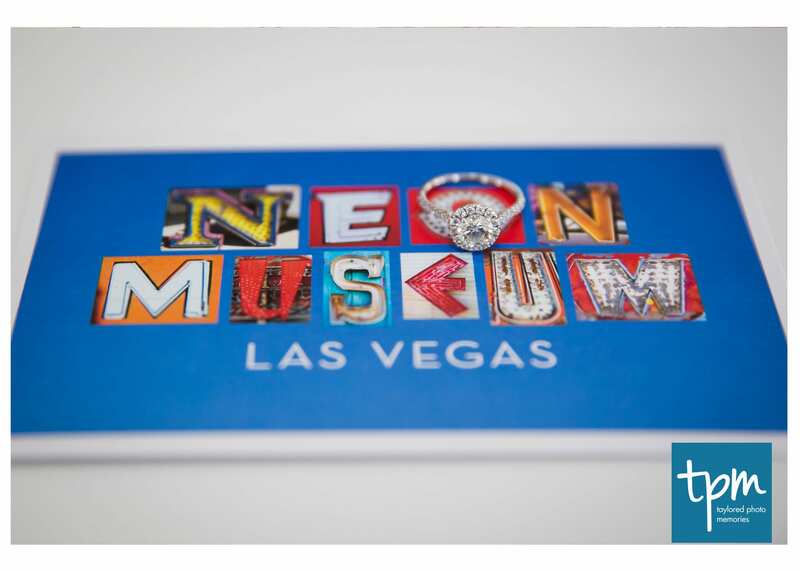 Because of our relationship with the Neon Museum, we are able to directly communicate with the Neon Museum for you instead of you dealing with the planning. This alone saves you so much time and back and forth communication! 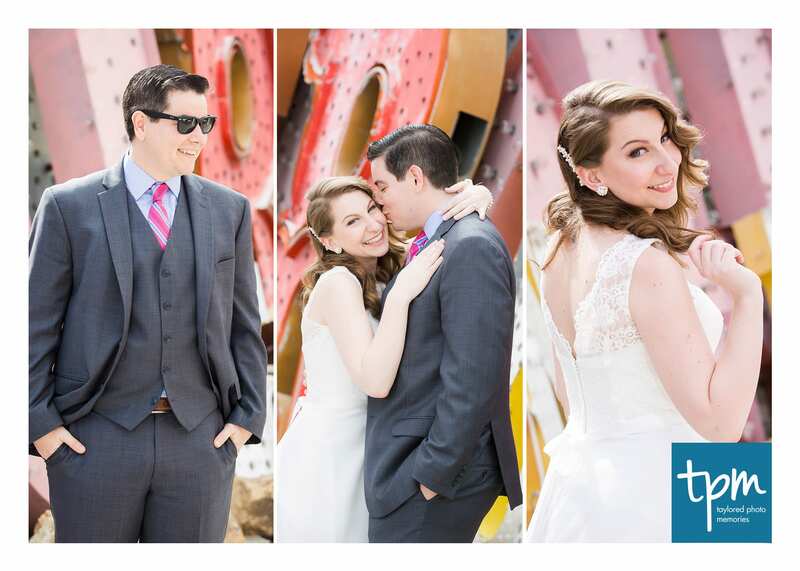 The Neon Museum is available for personal photo shoots that include: wedding, engagement, graduation, family portraits and portfolio. They would really love to have about 2 weeks notice to schedule a session as additional fees may apply for last minute requests. – $600/hour (not including photography fees). – No more than 6 people permitted in the Main Boneyard. – The Main Boneyard is usually available prior to 10:00am or the hour before sunset. – Restored signs and LED lights are lit at dusk. – Shoot times are limited due to museum tours. – $300/half hour (this does not include photographers fee). – Up to 10 people are permitted (including the couple and their photographers). – Additional fees for more than 10 people. – The North Gallery is usually available at 9:00am until sunset. – There are no restrooms or electricity in the North Gallery. Because you are supporting a non-profit we love, we offer 10% off our photography fees for those that schedule a shoot at the Neon Museum!